Portugal is fast becoming one of the most desirable places for engineers to work and study in the EU, a remarkable achievement, by all accounts. As recently as 2007, it was described as the ‘new sick man of Europe’, a moniker customarily reserved for Europe’s most stricken country, and one that has, in most cases, been notoriously difficult to shake off. Not for Portugal. Fast-forward to the present and the country finds itself in the advanced stages of a swift, and from some perspectives unexpected, recovery. Walk its streets and it feels energised and healthy rather than sickly, and would be better cast as Europe’s ‘new poster boy’, such is its newfound vibrancy. The consequences of its financial achievements have been far-reaching too, stretching way beyond the economic realm. The last years, for instance, have seen the Portuguese rediscover their ‘trust in democratic institutions and their belief in the EU’, very much bucking the European trend. Really, whatever medicine the country has been taking, it’s working well. And this is all, of course, to say nothing of the country’s exquisite coastline, charming medieval towns, engrossing culture, and, most important for many, its elevation of wine to something almost godlike – to be cherished and drunk regularly. To top it off, Portugal also remains a very cheap place to live, particularly by European standards. Even its big cities, Lisbon and Porto, are affordable, yet to be hit by the rampant rent prices afflicting many other European centres. The country’s upturn has coincided neatly with the election of Prime Minister Antonio Costa – the centre-left leader heading a motley coalition of leftist parties – who swept to power in late 2015 on an explicitly anti-austerity ticket. His manifesto galvanised a country beleaguered by IMF, EC and ECB imposed austerity measures: unemployment was high, employment precarious, and many were giving up on the country altogether – the young, especially, were leaving in their droves. Moral was at a generational low and Costa promised to change this. He has kept his word. Are you looking for a great place in Portugal to do your engineering studies? Check out the global campus of the Polytechnic Institute of Leiria and its broad array of Master's degrees! Where countries like Ireland and Greece toed the Troika line, the Costa led government stood in defiance, resisted the pressure from its creditors, and boosted both spending and investment. Public sector salaries were raised, along with increases to pensions and the minimum wage. Even the number of public holidays was returned to pre-bailout levels. The results of the policy programme thus far have been unequivocally positive, the country recently recording its highest level of economic growth in a decade. Unemployment, too, has been slashed, dropping from 17.5% in 2013 to 7.9% in the first quarter of 2018, and looks destined to fall further. As a corollary, and of particular attraction for prospective students, has been the change in atmosphere. Positivity and optimism have returned to public life, and the future is once again anticipated with excitement, rather than trepidation. The progress has not been limited to the big cities either, according to Reuters’ economist Ricardo Guimaraes, who comments that gains are ‘spreading geographically’. Nationwide the economy is booming, becoming job-rich and diverse, with burgeoning sectors like aeronautics, aviation and informatics helping develop Portugal’s reputation as ‘Europe’s next bastion of engineering’. In aeronautics alone – the field experiencing the biggest growth and now amounting to almost 3% of GDP – the expansion of the job market is currently outstripping the number of engineers Portugal is creating, meaning there are 2,000 jobs in the field waiting to be filled, as of January 2019. Similar trends can be found in computer, electrical, mechanical and software engineering. Epitomising this development is Vestas, a Danish wind turbine company and world leader in delivering clean wind energy, which has opened up an engineering design centre in Portugal and is expecting to hire several hundred engineers by 2020. The press release sent out on the centre’s opening proclaimed that it was ‘the proximity to leading universities and other research institutions of a high standard [that was] key to choosing Portugal’ as its base. It is true, Portugal has a rich academic tradition, and boasts some of the oldest universities in the world; the University of Coimbra, for instance, was established way back in 1290. It is also home to a growing number of reputable polytechnics – educational institutions with a more vocational focus – including the Polytechnic Institute of Leiria, which was recently evaluated favourably by the European University Association (EUA), and is generally considered to be one of the country’s finest. The abundance of engineering jobs has sparked a proliferation of engineering degrees run across both universities and polytechnics alike, both of which are working hard to fulfil the needs of the labour market. 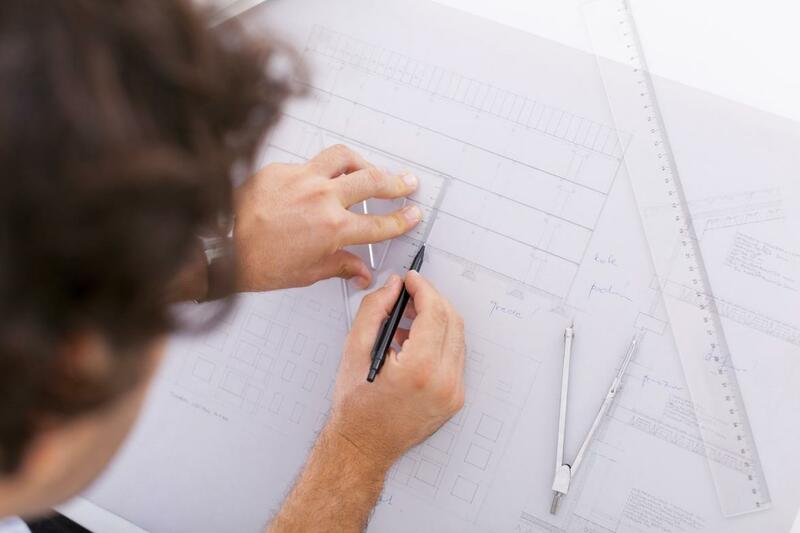 From applied biotechnology and product design engineering to building construction and information systems, the options are almost endless and reflect the vitality of Portugal’s growing economy. Its academic reputation in the area – as the above indicates – has developed in parallel, and the country is now roundly believed to be one of Europe’s leaders in engineering education. Whether for the quality of teaching, post-degree job prospects or costs of tuition, there has rarely been a better time to study engineering in Portugal. Conveniently for students, Portugal remains one of the most affordable countries in Europe. Rents, whether studio flats or shared apartments, stand on average at around €400 per month, far below the continental average, with student accommodation even cheaper, often hovering between €165 and €300. Predictably, the capital Lisbon has the highest living costs, while in smaller cities like Porto or Coimbra, a budget of €600-900 is generally considered enough to get by. For scrimping students, it may be helpful to know that half a litre of domestic beer costs just €1.25. Compare that to London, Madrid, Paris… Also, a kilogram of bananas costs just under a euro. Interestingly, some have speculated that a human can survive solely on a diet of bananas and water. Tuition fees are inexpensive, too. Bachelor and Master’s degrees cost approximately €1000-1250 per academic year, among the cheapest in Europe, while PhD programmes are more expensive, and can be as much as €3000. Part-time study generally costs 70% of the full tuition and offers the opportunity to work alongside your studies. Of the most affordable, the Polytechnic Institute of Leiria stands out. Well-known, in particular, for its engineering faculty, its fees stand at just €1,150 per year. There’s no denying Portugal is on an upward trajectory. The latest Eurobarometer poll has 66% of Portuguese expressing satisfaction with the life they lead, high relative to its European neighbours, and double the rate polled four years before. And success seems to be coming on all fronts: reigning European football champions; recent Eurovision winners (ending 49 years of hurt); and former finance minister Antonio Guterres now heading the UN. The last few years have seen Portugal leave an indelible mark on the world. There's never been a better time to go and enjoy Portugal's newfound vitality. 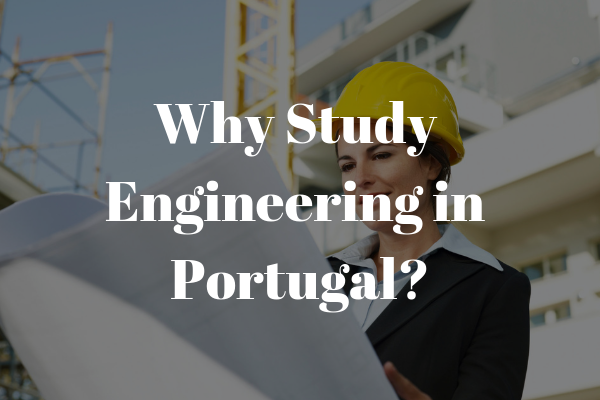 Did we convince you to do your engineering studies in Portugal?